You can begin drawing Social Security as early as age 62, finally getting back those dollars you’ve been paying into the system, possibly since you were a teenager handling cashier duties for a fast-food restaurant. After roughly four decades of non-stop work, it certainly can be enticing. But taking Social Security a few years shy of traditional retirement age comes with a caveat. Your monthly check will be reduced, so you’ll draw as much as 30 percent less than you would if you waited until your full retirement age, which is 66 to 67 for most people these days. At the other end of the equation, if you put off filing for Social Security until you’re 70, you can increase the amount of those checks. So what’s a potential retiree to do? Your neighbor’s decision isn’t your decision. It might be interesting to hear what other people have done, but that doesn’t mean you should follow suit. Their financial situation may be very different from yours. The right answer for them could be the absolutely wrong answer for you. • Working in retirement makes a difference. Many people like to continue working, at least part-time, even after they begin drawing Social Security. But that can have ramifications. If you’ve reached full retirement age, no problem. Make as much money as you like. But if you take Social Security early, there’s a $15,720 annual limit on how much you can earn. For every $2 over that, you’ll lose $1 of Social Security. • Maybe you need the money now. It could be that you worked the numbers and decided to wait until your full retirement age. But then fate intervened. You lost your job or health problems keep you from working. There certainly are very good reasons why some people begin drawing their Social Security at 62. • Maybe you don’t need the money – just yet. If your finances are in good order, your savings robust and your employment stable, putting off Social Security until you’re 70 could make sense because you would be able to optimize the amount of those monthly checks. 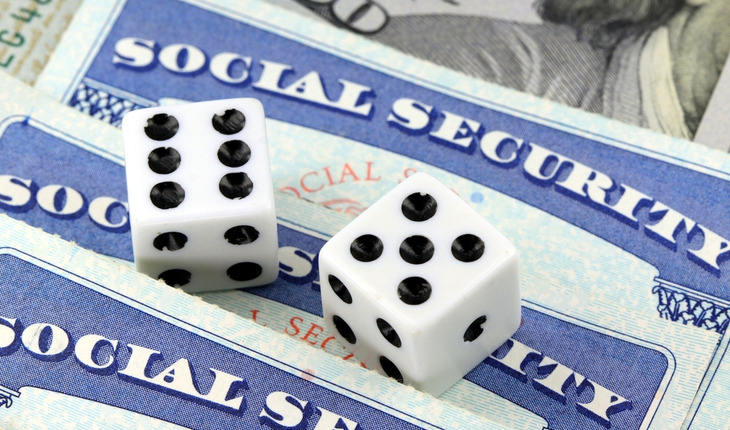 For example, if your full retirement age is 66, you would be able to receive 132 percent of your monthly benefit if you delayed filing for four years, according to the Social Security Administration website. Ultimately, the decision is yours, but it’s important to make that decision knowing all the implications. While there’s no right answer that applies to everyone, there could be at least a best answer that applies to you. Alexander Joyce is president and CEO of ReJoyce Financial LLC (www.ReJoyceFinancial.com). He’s also a Safe Money and Retirement Income Planning specialist, and has hosted radio shows, such as “The Safe Money and Income Radio Show” and “The Ask Mr. Annuity Radio Show.” Joyce is a licensed professional in Indiana and specializes in working with people who are near retirement or who are already retired, with wealth management, income planning, and asset protection strategies.